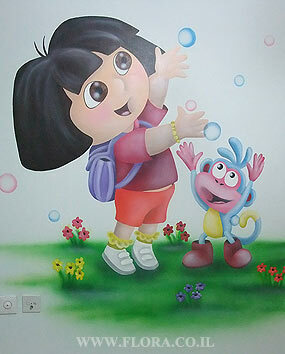 Baby room murals - Dora and Boots. Full wall view. Muralist: Flora.